We’ll be once again tracking all of this year’s best Black Friday deals on Canon cameras, including both DSLR bundles and point-and-shoot cameras. You can expect to see ads getting leaked in the first week of November. Be sure to check back then for updates or signup to our newsletter and we’ll keep you posted, directly in your inbox. In the meantime, you can scroll down the page to check out the deals on Canon cameras from last year’s Black Friday sale to get an idea of what’s likely to come. Enjoy! Updated on Sunday November 18, 2018: It’s that time of the year again where we’re tracking all of the top deals coming this Thanksgiving weekend. And if a new Canon DSLR camera is on your holiday shopping list this year then you’re in luck as we’re monitoring every major ad leak and posting all of the best deals from Canon we can find. Here’s a look at all of the offers that have been already verified by our team. Canon EOS Rebel T6 DSLR bundle on sale for $399.99 + Get $120 in Kohl’s Cash. Price after Kohl’s Cash savings is $279.99. The bundle includes the camera body, storage bag, and two lenses (18-55mm and 75-300mm). It’s normally priced for $749.99. Because this offer is labeled as “doorbuster” deal, the soonest you can pick up this offer is on Thursday, Thanksgiving day 12:01AM CT at kohls.com (that’s November 22, 2018). In stores you they will be available later that day in the afternoon at 5:00PM. See the ad posted below for more details. You’ll find the Canon T6 DSLR camera bundle featured in Sam’s Club Black Friday ad this year. It includes two lenses, bag, battery, and memory card. Limit 3 per customer. Free shipping is included if you buy it online. You’ll be able to pick up the Canon EOS SL2 DSLR 3-lens camera bundle at costco.com this year for $679.99 (it’s on page 6 of their ad). It’s the exact same bundle we saw them offer last year on Black Friday but now a full $100 cheaper than last year’s sale price. This is an online-only deal so you won’t find it in any of Costco’s warehouses this year. Sale runs from November 22—26, 2018 or while supplies last. There’s a limit of two per customer. You’ll find a number of deals at Amazon’s Black Friday sale this year. Whichever Canon camera bundle you decide on, it’s worth comparing the sale prices to those available right now at Amazon. Nikon D3500 DSLR camera bundle on sale for $499.99 (SAVE $350). It’s a Doorbuster item at Target this year. The bundle includes the camera body, 18-55mm & 70-300mm lenses, and bag. It normally retails for $849.99. For a sale price of $899.99 you get the Canon EOS Rebel T7i 24.2MP CMOS DSLR Bundle with 55-250mm lens, 32GB SD card, and camera bag. That’s $300 off their regular price. For a sale price of $399.99 you get the Canon Rebel T6 18MP DSLR Bundle with two lenses (75-300mm and 15-55mm), a 32GB SD memory card, and a carrying bag to store it all in. That’s $350 off their regular price. Canon Rebel T6 DSLR camera kit. It includes 18-55mm and 75-300mm lenses. Comes with a bag and a free memory card. It’s on sale for $399.99 (save $350). Canon EOS Rebel T7i DSLR Camera with 18-55mm and 55-250mm lenses. Comes with a bag and 32GB memory card. It’s on sale for $899.99 (save $300). Canon EOS 80D DSLR Camera with 18-135mm IS USM lens. Comes with a free storage bag and memory card with purchase. It’s on sale for $1199.99 (save $600). Canon PowerShot SX530 16.0-Megapixel HS Digital Camera. Comes with a free memory card with purchase. It’s on sale for $199.99 (save $180). Canon PowerShot G7 X Mark II 20.1-Megapixel Digital Camera. It’s on sale for $599.99 (save $100). What new Canon camera, lens or printer is on your Thanksgiving weekend shopping list this year? Let us know in the comments section (it’s located down the page). Updated on Sunday, November 19, 2017: Black Friday is just days away and if this year a new Canon camera is on your Thanksgiving weekend shopping list, then you’ll have plenty of deals to choose from this year. And that’s not only from some of Canon’s top resellers like but also directly from Canon’s direct online store. – Kohl’s: Kohl’s will be offering Canon EOS Rebel T6 DSLR (with Wi-Fi connectivity) camera bundle for $449.99 (normally priced $749.99). It includes the the camera body itself, 2 lenses (18-55mm and 75-300mm) and a bag to hold it all in. You’ll also earn an extra $135.00 in Kohl’s Cash which effectively drops the price down to $314.99 (learn more about Kohl’s Cash on our main Kohl’s Black Friday page). Although this is exactly the same deal as last year’s Black Friday deal from Kohl’s, it was also the best one. You’ll be able to pick up this deal on their site starting Monday November 20, 2017, or in stores on Thanksgiving day (Nov. 23rd) when stores open at 5:00PM. – Target: Similar to the other Black Friday bundle deals we’re seeing this year from Canon, you’ll be able to pick up the Canon Rebel T6 DSLR bundle on sale for $449.99 at either at your nearest Target store on on their website. It includes the 15-55mm lens, 75-300mm zoom lens, bag and 16GB SD card. The sale price valid from Nov. 23–25, or while supplies last. Free shipping for all online orders. Stores open at 6:00PM on Thursday, Thanksgiving Day (Nov. 23, 2017). — Canon EOS Rebel T6 with two lenses and 32GB memory card on sale for $449.99 (that’s $300.00 off). — Canon EOS 80D DSLR with 18-135mm IS USM lens and 32GB memory card on sale for $1299.99 (save $500.00). — Canon Powershot SX530 16.0-megapixel HS digital camera on sale for $229.99 (that’s $150.00 off). It includes a free $30.00 Best Buy gift card and 32GB memory card. — Canon Powershot G7 X Mark II 20.1-megapixel digital camera with 32Gb memory card on sale for $649.99 (that’s $50.00 off). Shop all of these deals starting on Thursday, Thanksgiving day when doors officially open at 5:00PM. Available while supplies last. – Sam’s Club: Canon is always a best seller at over Thanksgiving weekend at Sam’s Club. This year they have the T6 DSLR 2-lens bundle featured for $449 (that’s a savings of $300) in their Black Friday flyer. Free shipping is also offered if you shop online. Shop the deal starting at 12:01AM EST online on Thanksgiving day (Thursday Nov. 23rd) or in-stores at 7:00AM on Black Friday (Nov. 24th). – BJ’s Wholesale Club: BJ’s Wholesale Club has two different Canon DSRL bundles featured in their Black Friday flyer this year. The first is the Rebel T6 bundle that includes the camera, two lenses, a memory card, and bag for $449.99 (that’s $300 off). The second is the EOS Rebel T6i bundle that includes the camera body, lens, bag, and memory card for $749.99 (that’s $450 off!). The sale price is valid between November 17—27, 2017 (ends on Cyber Monday! ), or while supplies last. Keep in mind that you’ll need to be a current BJ’s Wholesale Club member to shop at their store. – Costco: Costco has two different Canon camera bundles featured in their 2017 Black Friday flyer this year. The first is the Canon EOS Rebel T6 DSLR bundle that comes with 2 lenses, a memory card, and bag. It’ll be on sale for $449.99 from November 24 — 27, 2017. Your second option is the Canon EOS SL2 DSLR camera bundle. This one comes with three lenses, a bag, and memory card. It’s priced at $779.99 and will only be available at costco.com between November 23 — 27, 2017. Remember, only current Costco club members can shop their store or website. – Fred Meyer: Fred Meyer’s got the Canon T6 DSLR camera kit on sale for $449.99 (normally priced at $749.99). The ad doesn’t mention what’s in the kit but we suspect it’s the same one as we’re seeing offered from these other stores on Black Friday this year. The sale starts at 5:00AM on Black Friday morning and runs for one day only (November 24, 2017). Available while supplies last. – AAFES: AAFES will have three different Canon Black Friday deals this year — On Thanksgiving day, Black Friday and Small Business Saturday. You can check the all out in their 2017 Black Friday flyer. Just keep in mind that only active-duty military, reserve, National Guard, select U.S. civilian Department of Defense/State employees, and their respective retirees will be able to shop at AAFES. – Navy Exchange: You’ll have three Canon camera’s to pick from at Navy Exchange’s Black Friday 2017 sale this year. Check them out below! All three offers are valid from Thursday, Thanksgiving day, through Saturday (Nov. 23—25, 2017) or while supplies last. Shop in stores or online. Stores closed on Thanksgiving day but will be open on Black Friday bright and early at 5:00AM. Just keep in mind that similar to AAFES, only active-duty military, reserve, and National Guard employees will be able to shop at NEX. 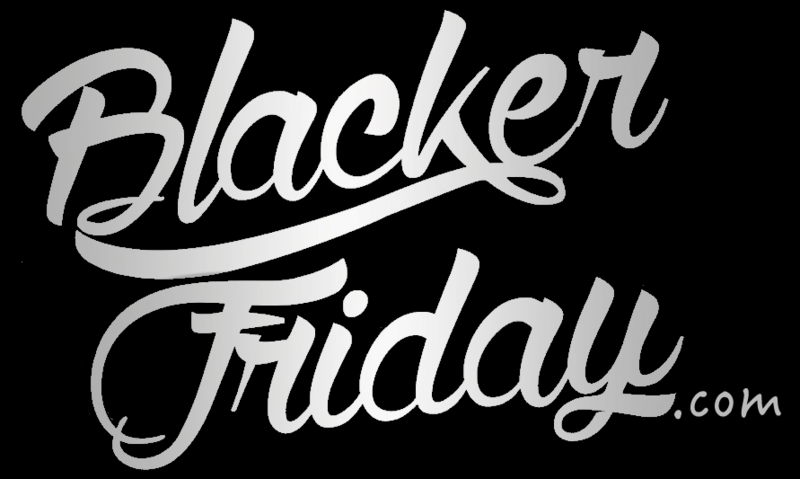 Updated November 24, 2016 – Black Friday is here! And we’re rounded up all of the top camera deals this year from Canon. Enjoy! – Kohl’s: Kohl’s will be offering Canon EOS Rebel T6 DSLR (with Wi-Fi connectivity) camera bundle for $449.99 (normally $749.99). It includes the the camera body, 2 lenses (18-55mm and 75-300mm) and a bag. You’ll also earn an extra $135.00 in Kohl’s Cash which makes it a really good deal. Stores open on Thanksgiving Day (November 26th) at 6:00PM. – Walmart: You’ll be able to get the Canon SLR 2 Bundle on sale for $449.00 at Walmart (was $599.00). It includes the camera body, 18-55mm lens, 75-30mm lens, 16GB SD card, camera bag, and credit for up to $69.99 in photo services. The deal is available Thanksgiving day at walmart.com (all day!) and later in the afternoon in stores starting at 6:00PM Thursday (that’s Nov 24, 2016). Canon EOS T6 DSLR 2 Lens Kit on sale for $449.99 (thats $300.00 off). This includes the camera body, a 18-55mm lens, a 75-300mm lens, a case, 32GB SD memory card, and a coupon for a free HD Photobook. Canon EOS Rebel T6i 24.2MP CMOS DSLR Kit on sale for $799.99 (that’s $400.00 off). This bundle includes the camera body, a 18-55mm lens, a 55-250mm lens, a case, and a 32GB SD card. – Target: You’ll be able to pick up the Canon T6 DSLR bundle for $300.00 off at Target this holiday weekend. That drops the price down from $749.99 to just $449.99. The bundle includes the camera body, 18-55mm and 75-300mm lenses, a camera bag, and a 16GB SanDisk SD card. The sale begins early on Wednesday morning (Nov. 23rd) and runs through Thanksgiving day (Nov 24th) at target.com (limited quantities available, may sell out early). – Best Buy: There are a number of Canon stand-alone camera deals and bundles offered this year at Best Buy (seems to be more than what we’ve seen in the past). We’e pulled them all together so you can check out your options below. The sale begins online Thanksgiving day morning online and in-stores later that day at 5:00PM when they open. – hhgregg: You’ll be able to find the 18-megapixel Canon Rebel T6 Digital SLR Camera bundle at hhgregg’s Black Friday sale for $449.99 (that’s $300.00 off the list price of $749.99). The bundle includes the body and two lenses. There’s a bag pictured as well but it’s not mentioned in the description so we’re not sure if it’s included or not (probably is if we had to guess. You’ll be able to get this deal on their site on Thanksgiving day (Thursday, Nov. 24, 2016) or Black Friday morning at 7:00AM when stores open (limit one per customer, while supplies last). – AAFES: You’ll be able to get the Rebel T6 DSLR bundle, with built-in Wi-Fi and NFC, with two lenses and bag on sale for $449.95 (normally priced at $749.95). Item #7807871. Offer valid starting at 4:00AM on Black Friday (Nov. 25, 2016), while quantities last. Just keep in mind that you must have a current Military ID to be able to shop at AAFES. – Canon.com: Canon will also have direct Black Friday this year starting on Thanksgiving Day. We expect to see many of the same price points and camera bundles returning this year with savings of up to 68% off. See Canon’s US Store to have a look at their current deals and refurbished bargains. You can also sign up to their newsletter to be in the loop for their promotions throughout the year. And if you’re not 100% set on getting a Canon, you can also see the deals from Nikon that we are tracking this Black Friday as well! Happy bargain hunting! Canon: Helpful Links & More!